The Writing Center assists with writing projects at any stage of development. Our services are free and available to all undergraduate students, graduate students and faculty in all disciplines. Our job is to help you become a better writer, reader and critical thinker. 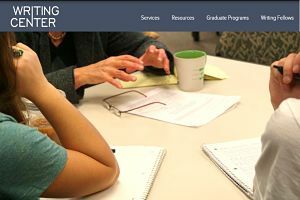 The Speaking Center offers quality one-on-one instruction and small group tutoring, and consultation to students and instructors on campus who would like to work on any aspect of oral communication. The Conversation Center offers one-on-one appointments for conversations in English with undergraduate students enrolled in a service-learning course, the Rhetoric Conversation Praticum. Make friends and build confidence and intercultural fluency through informal, low-stakes interactions. 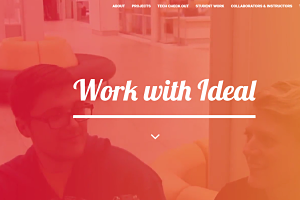 Iowa Digital Engagement and Learning (IDEAL) provides one-on-one support and assistance to students working on digital projects. 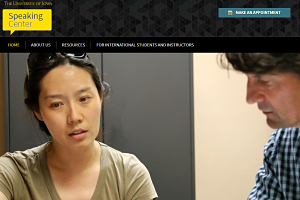 We also help instructors create and implement digital assignments in their classrooms.